Milan are supposed to be focusing on Serie A. And that’s not going well for us at all. With the poor mentality and even worse performances, how much will Montella and the boys focus on the Europa League? Will Montella give some players a rest that have been playing the majority of the games? Or will he take this opportunity to do some more experiments with tactics? The thing is, although we are supposed to be focusing on the league, we are needing more and more desperately to perform well in the Europa League. And it is at this point of increased desperation that we face the toughest opponent in our group, AEK Athens. It’s a danger that could be overlooked in light of all of the struggles, a potential pitfall. AEK Athens are a Greek club, but the club was originally formed by immigrants from Constantinople. They are the second most successful club in Greece, and also currently sit in second in the Greek Superleague. Not only have they made it to the semifinals of the Europa League in the past, they’ve played in the Champions League and even made it to the quarterfinals before. In fact, we have previously met them in the Champions League, helping to knock them out of the Round of 16 in 1994-95. They are not just another minnow team. Like Milan, their history gives them European DNA. And their position in their league means they are not to be underestimated. Currently, with only two matches played, AEK sit in second in our group, having drawn with Austria Wien. But if we are to gain the advantage of being seeded going into the round of 32, this game and the next, when we face AEK in their house, are very important. AEK Athens are coming off of a 1-1 draw with Xanthi in the Superleague on Sunday. For that match, Manolo Jimenez lined up: Anestis; Rodrigo Galo, Vranjes, Lambropoulos, Bakakis; Andre Simoes, Galanopoulos; Christodoulopoulos, Livaja, Mandalos; Araujo. If you’ve actually heard of some of those names before, it’s because they actually have players you might know, including Panagiotis Kone, who is on loan from Udinese. Jimenez only has a couple of injuries to deal with, and could easily line up a strong side when they come to the San Siro. Milan, on the other hand, are in a mental nosedive. Losing to Inter on Sunday, and specifically the way we lost, can’t help the mentality. 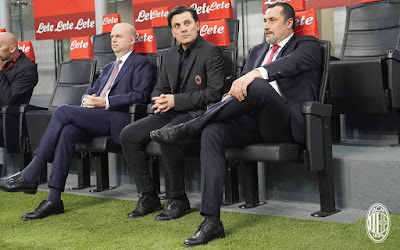 There were a lot of positive signs from both Montella and the team, but in the end, we are in 10 th place in Serie A, having won four games and lost four. In the Europa League, we have pulled off a win in all of our matches, including the four qualifying matches we played. But AEK will be our toughest opponent yet, and are undoubtedly in a better place mentally. Having home advantage is perhaps Milan’s only advantage, despite an even more successful club history. Montella will obviously be missing Conti to his longterm injury. But he will also likely miss both Antonelli and Kalinic due to fitness, even if Kalinic may be on the bench. Calhanoglu will be available again after his suspension on the weekend. Silva is our top scorer in the Europa League, with four goals in only two games played. But Cutrone has also done quite well. Will Montella play them together? Because that was not good last time he did. But with Borini playing as a wingback and Suso not playing well in an advanced role, it’s hard to know what else Montella can do. Never before have I been less able to predict the lineups for a match, or even the system Montella will use. On Sunday, he started with a 3-5-2, but made tactical subs that changed the formation twice. Did he finally realize the 3-5-2 isn’t working? Or will he continue to start with it, perhaps making those changes again midgame? Montella’s tactics are a complete enigma to me, and I feel like I would be more likely to guess the winning lottery numbers. 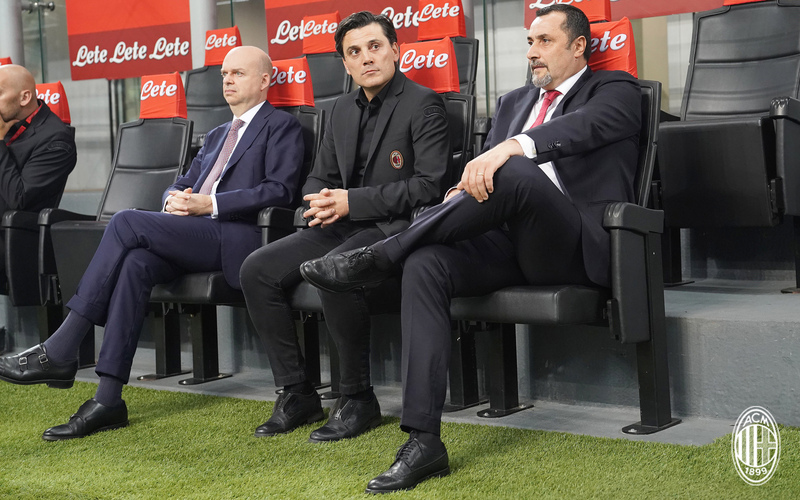 Can Montella earn his way out of the naughty chair? Most people want to focus on Serie A now more than ever. But despite facing Genoa, Chievo, and Juve in the next ten days to try to change our position on the table, the match with AEK is also important. If nothing else, for morale. I really hope Montella is taking it seriously and that the guys play to win. Three points in the group right now is an important statement not only for our Europa League future this year, but also for the team and the fans. A win over a team like AEK would renew some confidence when we need it most, whereas a loss would make things that much worse. This match is not to be written off, it is actually a possible pitfall. This match will be shown LIVE on Fox Sports 2 in the U.S.